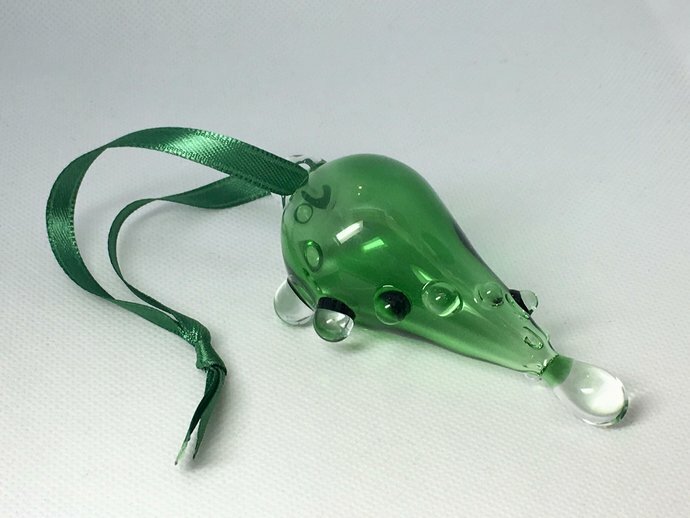 A gorgeous Hand Blown Glass Christmas Ornament in Transparent Emerald Green and Clear created on a torch by Justin. 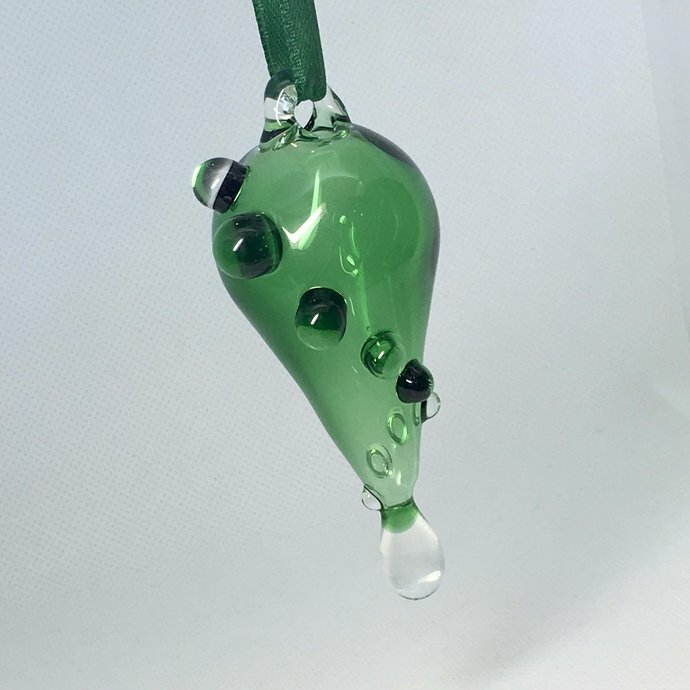 You can also choose Red and Green Spiral Twist or Emerald Green Spiral Twist. 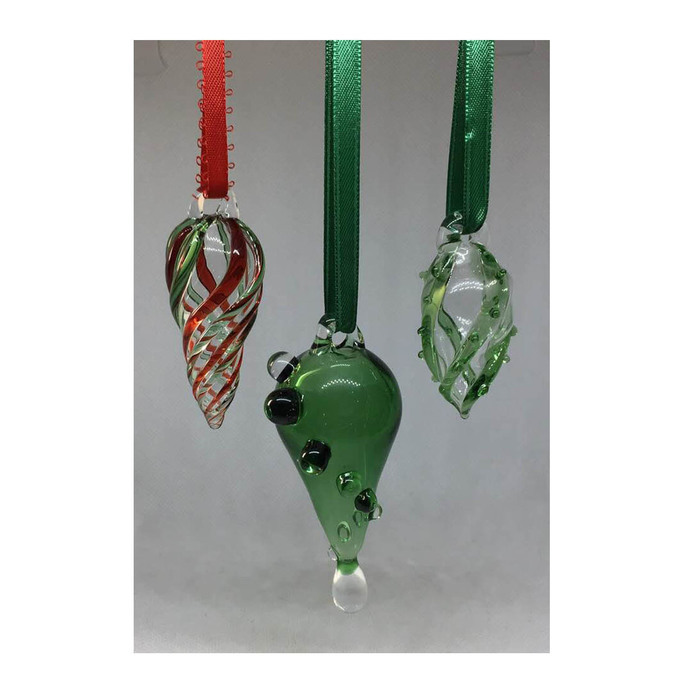 Each ornament is created with clear borosilicate glass and kiln annealed for strength & durability. 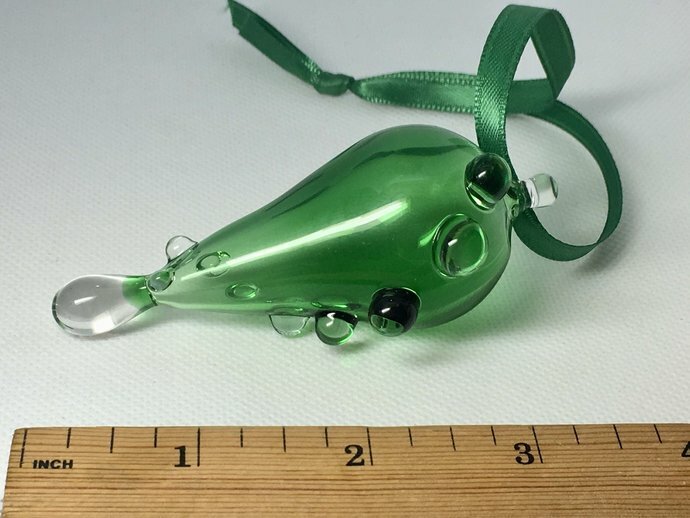 It measures approximately 1.75" by 3.5" and come with a matching ribbon for hanging on a Christmas tree or as a Suncatcher. Make your choice in Variations. 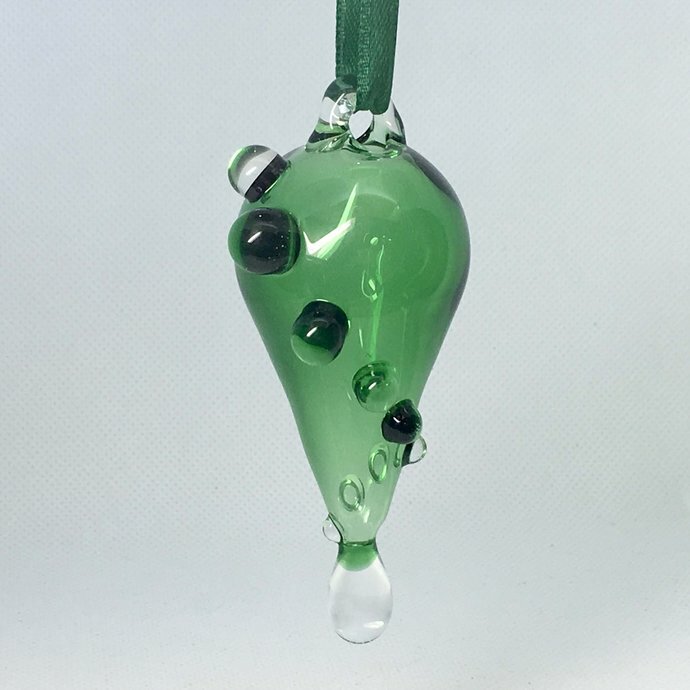 Each ornament that you order will be 'Made to Order' especially for you. Because it is handmade individually it will be very similar to the photo, but not exact. Allow 1 week for us to create your ornament especially for you. 1st class shipping usually takes about 3-4 days. Please feel free to share on Instagram and tag me @sycamorecindi and leave an review on Zibbet with a photo.